2010 November » Embroidery Talk Has Moved! First up today is a reminder from the NNEP about buying domain names. Anyone who owns a web site has probably been contacted at one time or another by a domain name reseller. These people want to sell you domain names at vastly inflated prices. As the NNEP blog post says, make sure to do your research on these companies, and buy your domain names from a reputable seller. You’ll save money and aggravation. Second on the list is Odd Guy Art’s blog post about their recent sales calls. It sounds like things are going well and, once you read their post, it’s easy to see why. They had a plan, which they are nice enough to share in the post. If you’re just starting out in the business and looking to place your merchandise in stores, check out this post. Marie and Graham know what they’re doing and you could learn a lot from their example. Third up today is one of my recent favorite posts from Robin’s Edge. She wrote a great post about Facebook’s best practices. My particular favorite of the tips she gives in her post is #4. I agree that freebies and giveaways to build followers are of dubious help at best. If you are just starting out with Facebook, or looking to increase the effectiveness of your current Facebook page, check out these tips. Fourth on deck is a post from Sewing for Cash about blog comments. The question in the post is should you enable or disable comments? It does depend on the purpose of your blog, but I tend to come down on the side of having comments enabled. Certainly your blog comments should be enabled if you want to interact with your customers and readers. The comments on the EnMart blogs are always enabled, since we do want to hear from all of you. Finally, I wanted to mention a few things from Stitches Magazine. First, check out Erich Campbell’s first Ask An Expert column on company stores. If you’re considering starting a company store for your business, you can find some good tips there. After you’ve finished reading Erich’s column, you can also stop by and read the Marketing Masters column in which both Robin Wilson of Robin’s Edge and myself are quoted. Finally, since you’re on the site already, you can stop by and check out the latest post on my DecQuorum blog. I lay out a few ideas for simple, low cost marketing. If you have any others to contribute, I’d love to see them in the comments. As the EnMart thread array grows, I sometimes forget that everyone may not be familiar with all the types of thread we sell. Our focus tends to be on polyester and rayon machine embroidery thread because those are the basics of embroidery for most people. Polyester and rayon are not, however, the only types of thread we sell and I thought today would be a good time to give a brief description of all the kinds of thread we offer. First, of course, is Iris UltraBrite Polyester Thread. 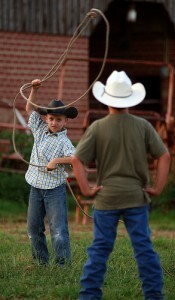 Hilos Iris believes it is possible to get both quality and value in one thread? EnMart is proud to offer Iris Trilobal UltraBrite polyester thread. This thread has a very uniform and controlled lubrication, and as a result forms very even stitches. It also has superior tenacity and minimal elongation, providing increased productivity. Due to its construction using trilobal polyester fibers, Iris polyester thread also has a shine that few other polyester threads can match. Second on the thread list is Iris Smooth ‘N Silky Rayon Thread. Made from the highest quality raw materials available, Iris Smooth and Silky Rayon thread is extra strong and lustrous. The Smooth ‘N Silky Rayon is known for dye lot consistency, uniform denier, and high strength. This thread is engineered to run smoothly and easily on all high speed machines. 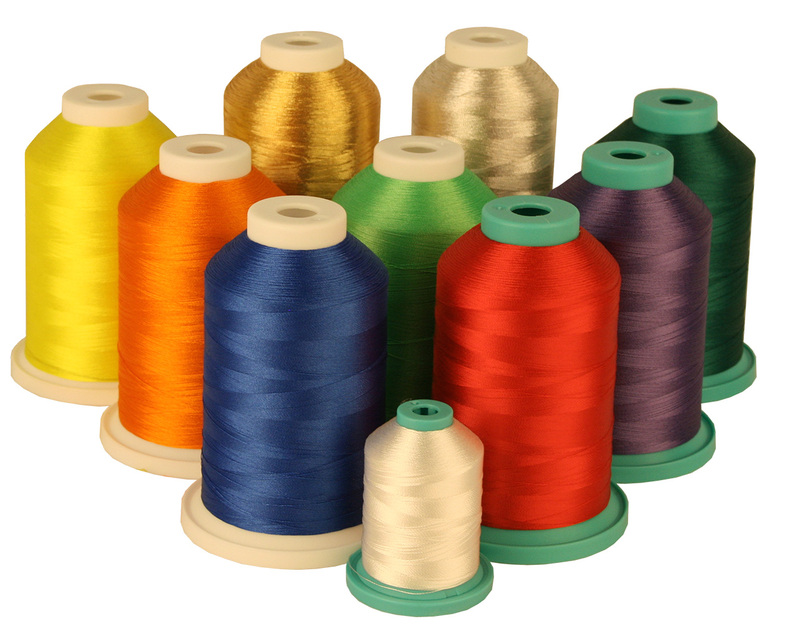 polyester, our metallic thread provides excellent coverage, incredible luster and runs perfectly. In addition to the Iris Metallic gold and silver, EnMart also offers metallic thread in 13 beautiful colors. Polyester variegated thread adds a great accent to the fourth place on our list. A two ply polyester embroidery thread, Variations is the perfect accent for all your fine embroidery. Available in 25 bright, vibrant, variegated shades, Variations thread sews smoothly and easily. This thread is great for embroidery, quilting, applique and embellishment. Finally, we shouldn’t forget our Iris merrow floss. Perfect for merrowing emblems, this floss is generally used on a Merrow sewing machine. The cones weigh approximately 2.5 pounds and are available in 17 colors.